Finding the perfect First Communion for your daughter can prove to be a daunting task. The style, the cut and the color matters at this very important occasion. At Elitedresses.com, we take First Communion dresses seriously. We know that not all parents and girls prefer modern First Communion dresses and at the same time, not all would want a traditional Communion dress style. What we did was to pick the best of both worlds. 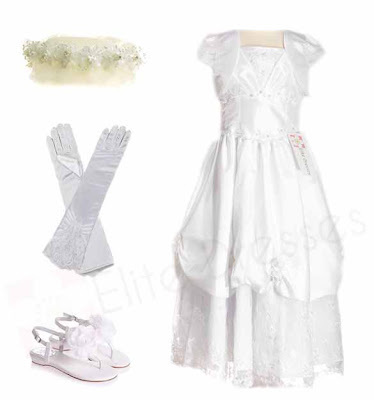 The Elitedresses White Communion Dresses collection has been chosen based on its style, fabric, function and price. You can also order First Communion gloves and veils from us.